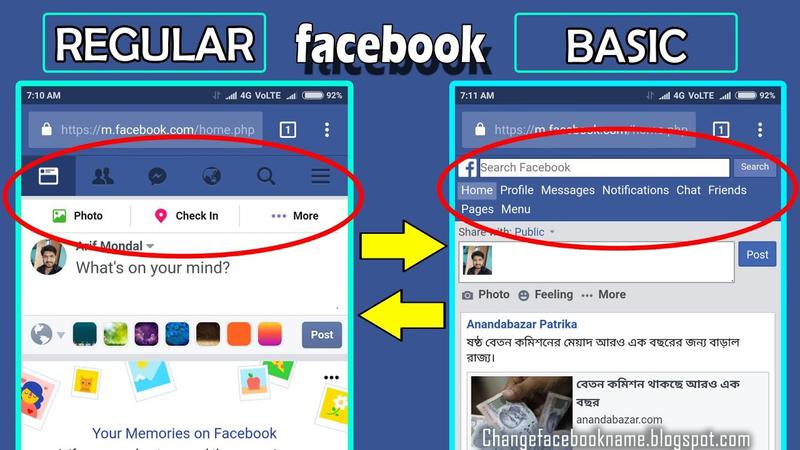 How To Switch to Facebook Basic version: Facebook is a worldwide recognized platform which has over a billion users, millions of people login into their Facebook account on daily basis to do one thing or the other. Majority of Facebook users uses their account to connect with friends and Family while some others uses thoer Facebook account to promote certain business or showcase their business to the world. The ability to reach lots of people within a short period of time has made the platform one of the best, if not even the best social media that ever existed and still existing. Depending on the device you are using to surf you Facebook account, Facebook can be more fun to use. 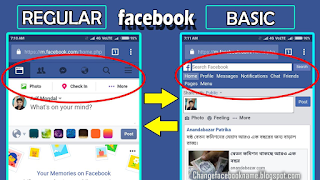 It has two different versions for those utilizing their account via a mobile device, the first which is the desktop/regular version will show you lots of features, bigger and better images but the other which has less graphics, lesser image quality is known as basic version of Facebook. Then the page will reload to bring you the basic version of Facebook which works faster than the regular version. But you have to note that there are some high quality video which the basic version won’t access, you won’t be able to view them. I hope I have helped you change your Facebook page to the simple and less complicated basic version? Kindly share this with all your friends using any of the share links below.